Comment: I want to fence in entire property chain link to keep pets contained and safe. Comment: I would like to get an estimate for installing a new black chain link fence in my back yard. 5 ft high medium sized yard. Comment: I would like a privacy fence of about 8 feet installed on one side of my home. I am in an age restricted community and the HOA restricts type of fencing. Would like this done very soon, as I need to submit the application to home HOA. Durham Fence Contractors are rated 4.84 out of 5 based on 558 reviews of 32 pros. 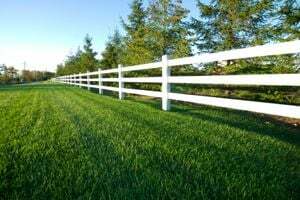 Not Looking for Fences Contractors in Durham, NC?